Anyone who has played World Of Warcraft before knows about the stigmas: No social life, no social skills, Living in a fantasy world, 100% pure addiction. If you haven’t played, you may have even thought those things about WOW players. While I don’t play anymore, I can verify that not all those are true (usually). Shockingly, there are actually a lot of similarities between blogging/social media/make money online and World of Warcraft. WOW, players of often teased for calling someone they regularly play with and talk to their friend. How you really be friends with someone you’ve never met face to face? Similarly, most bloggers will never meet most of the people they interact with on a daily basis in person. As bloggers, over time we share much of our personal experiences and personality with our readers. We regularly have discussions via comments, Twitter, Facebook, or other messaging services. 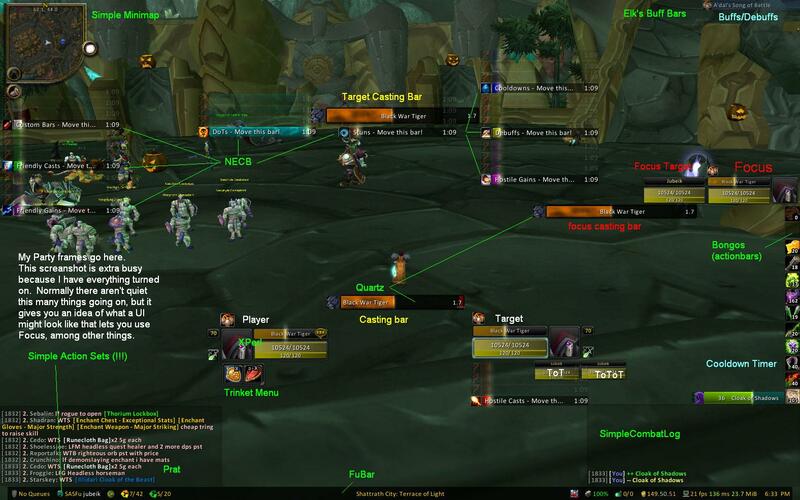 When players first start into WOW, it is uncharted territory. Each quest, location, and skill is excited. The more you play, the more your eyes open up to the possibilities and the more you want to learn and get better. Once a player gets past the initial learning curve, they can get totally caught up in reading about the game and even forget to play at a time. Learning about blogging is highly addictive too. At first, it is a little scary setting up hosting, picking a theme, finding plugins, and starting to write content. Once you’ve settled into your first blog and start writing content, you really begin to see how vast the possibilities are. It’s easy to start reading tips from all the experts on how to get better and forget to spend time writing for yourself. World of Warcraft players is notorious for obsessing over stats and achievements. Who has the most Attack Power or Spell Damage or who can do the most Damage Per Second? When it comes down to it, unless you can utilise those powers for a single purpose (often with other teammates), they don’t do you any good. What blogger hasn’t checked her stats 5 times in an hour or checked his Twitter to see how many new retweets he has received? It’s great to see significant traffic numbers, but without a game plan on how to monetise them, they don’t help you reach your end goal. One of the best features Blizzard included in World of Warcraft is the ability to customise your HUD (your viewable screen) significantly. Programmers have come up with hundreds of thousands of add-ons and plugins to change the appearance of both functional and cosmetic reasons. Many players will spend dozens of hours optimising their display to fit their desires. The same is also true of blogs. As bloggers, we have thousands of both free and premium themes to choose from, each with an endless supply of new plugins. Some plugins are for cosmetics, others functional, but all personal preference. It is easy to spend hundreds of hours customising and optimising your blog appearance for bests results. It’s also easy to accidentally put too much on the screen at once. Information overload INC! There is almost always something to be done playing WOW whether it is raiding dungeons with 25 other players or fighting in the arena against other players around the world. It’s almost impossible for someone who doesn’t play WOW to understand the draw to play all the time. With reading other blogs, commenting, sharing on social media, building a following, and tweeting to your heart’s content all “needing” to be done, loved ones will also question why and how bloggers spend so much time working on their blog (especially if you aren’t making any money doing it yet). Most people don’t realise there are sponsored tournaments for World of Warcraft where the winners split as much as $75,000 for first place. While it might not be a legitimate living in the Americas and Europe, Korea has several sponsored teams that are paid a salary to play. Unless you are active in the Make Money Online community or you’ve seen a special on 60 Minutes, it is very possible that you didn’t even know you could make money blogging. Many people who hear about it try to make money blogging, but most people never make a penny, few people break even, and only the smallest per cent can make a living online. Something weird happens when you start doing well in WOW. Everyone wants to be your friend, help you out, ask for help, or really just talk to you for a nanosecond. On your server, you can become famous as the player with the best gear, best ratings, or being in the best guild. It’s amazingly fun and satisfying knowing that almost everyone wishes they were you (in a game at least). I can’t think of many things more fun than making money blogging/marking online. Professional sports is probably the only line of work that could rival the fun potential (although sales and bartending each have their own aspects). Like when a player first gets that fantastic piece of gear, a blogger is in ecstasy the first time his or her post goes viral or getting that first affiliate check. In World of Warcraft, it is almost impossible to be at the top before people start noticing you. Other players might check out your gear or spec to try to figure out how you are successful and mimic it. Other top players will start introducing themselves to you and either talk (usually) friendly trash or offer to team up with you. Bloggers also ban together. Chris Brogan, Copyblogger, and Problogger can often be found collaborating at conferences (hanging out in their underwear), guest posting, cross-referencing each other, and sharing data. Guys like Shoemoney and John Chow also regularly chat and share tips and trick they’ve picked up along the way. Even in niches that aren’t as big as MMO, the top bloggers on the scene are known by more than just their followers.